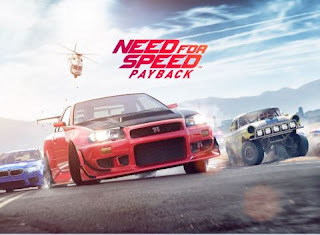 Ghost Games™, an Electronic Arts Inc. (NASDAQ:EA) studio, announced Need for Speed Payback, the new action driving blockbuster from one of the world’s bestselling video game franchises, hitting stores November 10th, worldwide. This explosive adventure is filled with intense heist missions, high stakes car battles, epic cop pursuits and jaw dropping set pieces. It’s blockbuster gameplay never before seen from the series, fueled by a gripping story of betrayal and revenge. With Need for Speed Payback, it’s no longer just about being the first to cross the finish line or racing to prove to be the best, it’s about building the perfect ride, getting behind the wheel and playing out an action driving fantasy. Set in the underworld of Fortune Valley, players will drive as three distinct characters reunited by a quest for vengeance against The House, a nefarious cartel that rules the city’s casinos, criminals and cops. They will take on a variety of challenges and events as Tyler, the Racer; Mac, the Showman; and Jess, the Wheelman to earn the respect of the underground. Featuring the deepest customization from the series, players can truly craft a personalized and unique ride, or spend hours finding and tuning an abandoned derelict into a supercar. They can then push their cars to the limit and raise the stakes by betting on their own performance, where they can either multiply their winnings or risk losing it all. For drivers who want to get the extra edge over the competition, the Need for Speed Payback Deluxe Edition gives players up to three days of early access to the full game, along with exclusive customization items such as the Deluxe Edition license plate and NOS color, in-game discounts, Rep bonuses, everything the Platinum Car Pack has to offer, and more.